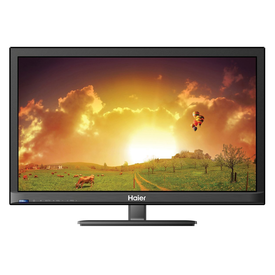 HD Ready It is a HDTV standard which specifies the progressive scan resolution of 1366 x 768. This figure represents the vertical and horizontal pixels on screen. Response time 5.0 ms It is the minimum amount of time taken for a pixel to turn on or off. PC Connectivity View images in ultra-rich resolution on your TV by connecting to your world of multimedia entertainment on your PC. Dynamic Contrast Ratio (50,000:1) Dynamic contrast ratio is the difference in light intensity between the brightest white and the darkest black which panel can produce. Clear voice II The Power of controlling mid frequemcies Automatically enhances the sound of human voice when background noise swells. Simplink (HDMI CEC) Simplink is a system which connects various audio/Video devices through a single HDMI cable. 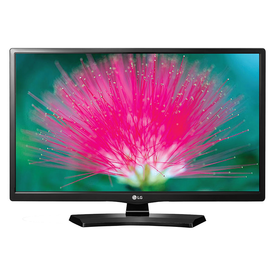 HD Ready It is a HDTV standard which specifies the progressive scan resolution of 1366 x 768. This figure represents the vertical and horizontal pixels on screen. Response time 5.0 ms It is the minimum amount of time taken for a pixel to turn on or off. PC Connectivity View images in ultra-rich resolution on your TV by connecting to your world of multimedia entertainment on your PC. Dynamic Contrast Ratio (50,000:1) Dynamic contrast ratio is the difference in light intensity between the brightest white and the darkest black which panel can produce. Clear voice II The Power of controlling mid frequemcies Automatically enhances the sound of human voice when background noise swells. Simplink (HDMI CEC) Simplink is a system which connects various audio/Video devices through a single HDMI cable.